Here's the invite! Designed by Chickabug Boutique. I will include some of the ball pics from the last post in the invitation. I'm so excited! Can't wait to "Have a Ball!" with my baby boy! Life is super exciting and busy right now as we prepare for Jax's FIRST BIRTHDAY! He turned 11 months yesterday & I just cannot believe it! I've actually been getting a few jobs planning some other parties, creating gifts for different things and making scrapbooks for other people. 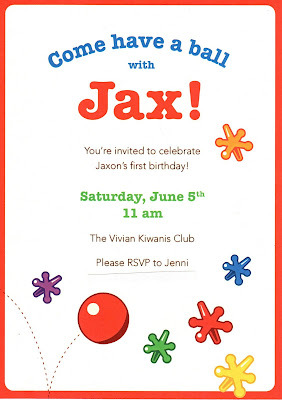 On top of that...we've had our own parties and events for me to put gifts together AND I'm wanting Jax's 1 Year Scrapbooks to be complete to set out at his party. (Yes, he has 2. He has one that has 12 spreads-one for each month of his first year & he has another to show all the other exciting events of his life like holidays.) I'm over being sad my boo is growing up. I'm onto the excited part! I'm so excited to celebrate the birth of my baby boy! 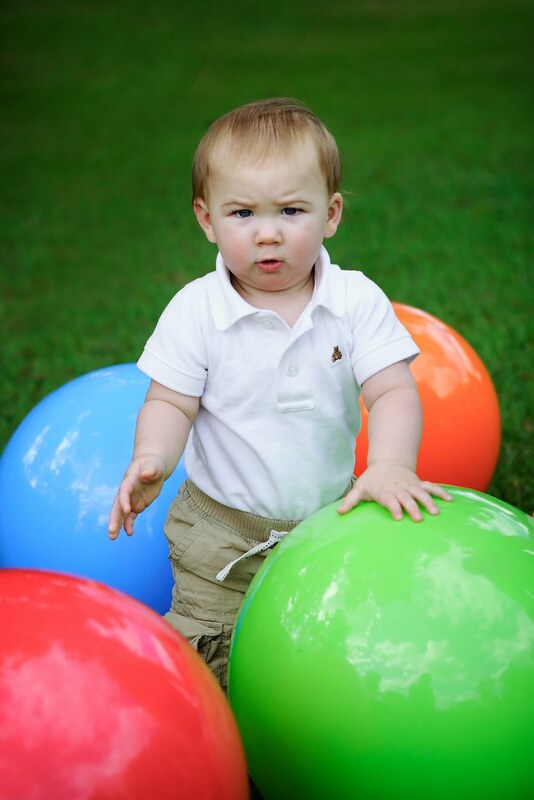 The theme is, "Come Have a Ball with Jax!" 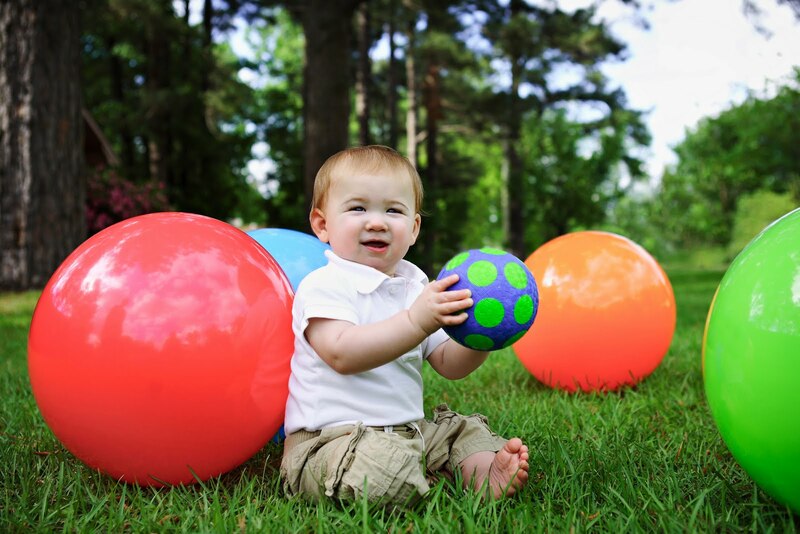 I planned this many months ago b/c I wanted it to be a simple, fun theme for his 1st bday & I was kinda playing off his name with the ball and jax toy. (Can't wait to show y'all the invites!) 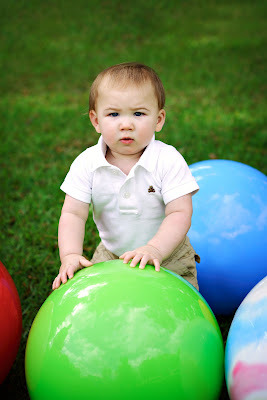 Well, about a month ago, Jax discovered the wonderful invention of the ball and now he ADORES them. I'm saying, when he wakes up in the morning, before his eyes are open he's saying, "Ba." I just love how this worked out! Here is a sneak peek of what's to come. 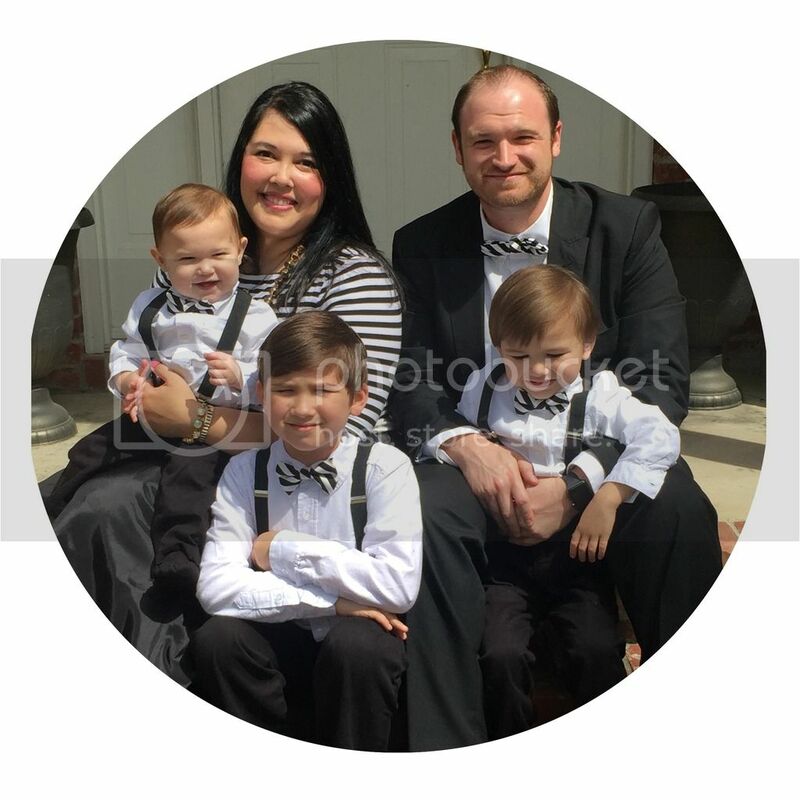 My friend Sis of Rain Lily Photography took these pics for his invites.